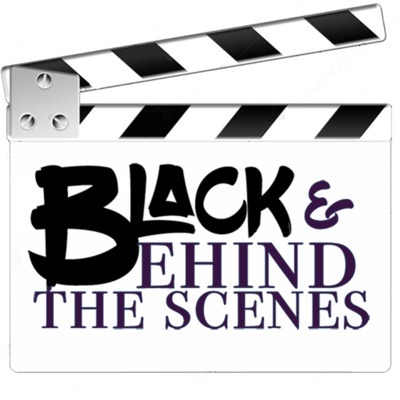 Welcome to Black and Behind The scenes, where amazing things happen. Join @Antoinettetaupe and @Brittanycon as they discuss and review creative black content from Television to Film and All Things Digital! We've got all the spoils this week, two Showtime shows and one HBO. Enjoy the second half of last week's interview with the creators of the show Barely Adults, writer, director and producer Christine Sanders and co producer Sommer Bonner. Also of course we have the latest industry news. Don't forget to follow us on all platforms and follow our illustrious hosts @brittanycon and @antionettetaupe and of course our executive producer @creative_nas on instagram. On today's episode of Black and Behind the Scenes we take a look at Pharrell’s new Edutainment show, Brainchild, Danielle Brooks in front and behind the camera and part one of our interview with the two talented creators of the show Barely Adults, writer, director and producer Christine Sanders and co producer Sommer Bonner. Don't forget to follow us on all platforms and follow our illustrious hosts @brittanycon and @antionettetaupe and of course our executive producer @creative_nas on instagram. This week we take you into the world of new biopics, shout out an incredible casting director doing her thing and oh yea, we've got the spoils. BET oh BET, we love you but do better. As always, remember to follow our illustrious hosts @antoinettetaupe and @brittanycon and of course, our lovely executive producer @creative_nas on instagram. On this episode, we continue our conversation with writer/script editor Felischa Mayre. We also talk about Gabriel Union's new documentary and two must-see documentaries for Black History Month. As always remember to follow our amazing hosts on all platforms @antoinettetaupe and @brittanycon and of course our executive producer @creative_nas. In this episode @AntoinetteTaupe and @BrittanyCon discuss Angie’s Thomas’s new movie deal for her new book On The Come Up, interview the incomparable and extraordinary writer Felischa Marye on her journey from boardrooms in Chicago to her Dream job in L.A. and diggin into Taraji P Henson’s new movie What Men Want as well as Killer Mike’s Netflix show Trigger Warning. Let The Streaming Wars Begin! We are back and better than ever! Check out our new intros courtesy of @NewWaveMuzik, the beats are crazy and we are excited! In this segment we discuss how the streaming wars are real in these broadcasting streets, Roku’s new update and we spotlight the amazingly talented editor extraordinaire Joi McMillon as well as give our thoughts on Amanda Seales’ HBO special I Be Knowin and If Beale Street Could Talk… Don't forget to follow our wonderful hosts @brittannyconn and @antoinettetaupe and of course our fabulous executive producer @creative_nas. We know something you don't know, that's why you gotta listen to find out what that could be. While you're at it, follow us on all platforms @blackandbehindthescenes. Don't forget to follow our hosts @antoinettetaupe and @brittanycon and executive producer @creative_nas. We wanna thank you for being dedicated listeners and for tuning in every week to listen, like our posts and subscribe. We really really appreciate you. More great show from the podcast that's created for us, by us. We're giving you the latest industry news, introducing you to great resources and as always, spilling the tea on Hollywood. Follow us on all major platforms and be sure to follow hosts, @brittanycon and @antoinettetaupe. Executive Producer @creative_nas. Black animators unite, 50 cents lands multi-million dollar deal and see what we have in store for Spoiler Alert. Check out our social media accounts @blackandbehindthescenes and don't forget to follow hosts @antoinettetaupe and @brittanycon. Executive producer: @creative_nas. Join us every week as we take you into the world on digital entertainment TV from our point of view. Join us every week as we take you into the world of digital entertainment TV from our point of view.